Police raided an allegedly illegal San Diego marijuana- delivery service, confiscating dozens of pounds of cannabis and arresting three people, authorities reported Friday. Narcotics-unit officers served search warrants Thursday at the East Village and Pacific Beach offices of Kings of Green, which is billed as a medical-marijuana dispensary. The personnel seized 47 pounds of marijuana, 120 edible products containing the drug, concentrated cannabis, ecstasy pills, $2,700 in cash and business documents, SDPD Lt. Matt Novak said. 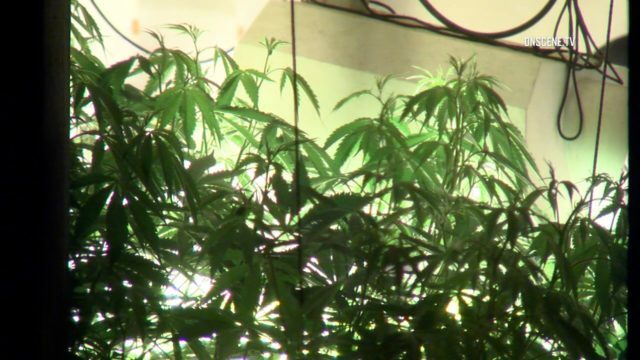 The owner of the service and an employee were arrested on suspicion of operating a business without a license and unlawfully selling marijuana. “They also face additional federal charges for using the U.S. mail to conduct their illegal business,” Novak said. A third person was arrested for alleged possession of a controlled substance — ecstasy — with intent to sell. The suspects’ names were not immediately available.